The legal notice sent by Camelot Enterprises' law firm claims that only 19 of the 68 artworks due for auction from March 27 belongs to the company and, hence, the auction is "unlawful and liable to be cancelled forthwith"
Days after a special court in Mumbai granted permission to the Income Tax Department to auction 68 paintings owned by Nirav Modi and his shell firm Camelot Enterprises, the fugitive diamantaire's firm has sent a legal notice to the revenue department against the three-day auction calling it unlawful. The book value of 68 paintings is Rs 57.72 crore and the three-day auction is slated to start from March 27. 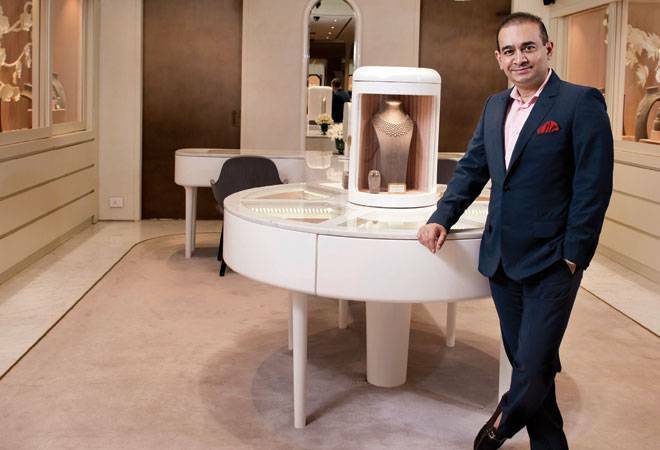 Income tax department has seized 173 paintings as part of its probe to recover dues of Rs 95.91 crore from Nirav Modi- prime accused behind the Rs 13,000-crore PNB scam. "The Saffronart online art catalogue lists 68 artwork due for auction, overlooking that only 19 works from the 68 artworks belongs to the company," read the legal notice sent through Camelot's law firm India Law Alliance Advocates. "In the circumstances, the purported auction is unlawful and liable to be cancelled forthwith." However, the Enforcement Directorate believes that Modi and Camelot are the beneficial owners of these paintings. Last week, hours after Modi was arrested in London by the Scotland Yard, the tax department had approached the court to allow it to auction 68 paintings out of the entire lot seized and the court gave its nod on the basis of the ED's 'no objection' as the assets had been attached under the Prevention of Money Laundering Act (PMLA). According to officials, the remaining paintings were to be auctioned by the ED later. According to a report by The Economic Times, Camelot's legal notice added that the sole director of the company Hemant Dahyalal Bhatt was in judicial custody and all the books, papers, records of the company have been seized by the statutory authorities and the premises of the company have been sealed. "In the circumstances, the purported tax assessment proceedings and tax recovery notice of February 5... are prima-facie invalid and liable to be declared otiose," the notice stated. The public auction is slated to start tomorrow evening in Mumbai according to the Saffronart website and the catalogue lists paintings by some of the most celebrated Indian painters, including Jogen Chowdhury, Raja Ravi Varma, VS Gaitonde, FN Souza, Akbar Padamsee and Bhupen Khakhar, as well as a selection of "contemporary Chinese paintings". "If the amount to be realised by sale is satisfied by the sale of a portion of the property, the sale shall be immediately stopped with respect to the remainder," read the Proclamation of Sale issued by the Office of the Tax Recovery Officer, Central-3, Mumbai on March 7. "The sale will also be stopped if before any lot is knocked down, the arrears mentioned in the said certificate, interest payable under Section 220(2) of the Income Tax Act, 1961, and costs (including the costs of the sale) are tendered to the officer conducting the sale or proof is given to his satisfaction that the amount of such arrears, interest and costs has been paid to the undersigned," it had added. Given that the tax recovery officer has the power to auction assets of assesses in default, experts say that this move by Modi to stall the auction may prove futile. "However, the claim of the law firm would survive to the extent for 19 paintings which belong to the assessee and not 68 which are put up for auction," senior chartered accountant Dilip Lakhani told The Economic Times. Meanwhile, Modi is currently lodged in the Wandsworth prison -- considered one of England's most overcrowded jails - where he will remain till March 29, when the next hearing will take place at the Westminster Magistrates Court. The hearing is expected to be presided over by Chief Magistrate Emma Arbuthnot, the same judge who had ordered the extradition of Kingfisher Airlines' promoter Vijay Mallya to India last December.